As consumers continue to become more eco-conscious, we see a move away from the convenience of artificial trees towards indoor potted tree options. The holiday season is all about that ‘feel good’ feeling… and opting to go ‘green’ somehow just makes you feel great! Cupressus conifers are hardy, easy-to-grow conifers with the perfect festive tree shape. They require minimal maintenance and are an excellent indoor plant option for all year round. Cupressus is the ideal ‘beginner’ option if you are considering going green. Trees are available at all GCA garden centres in a selection of different sizes ranging from 40 – 50cm in height to up to 2m tall! If your budget is small – opt for a small tree! If you are looking to make a bold statement, then go BIG! Be innovative when setting up your living tree. You may choose to invest in a festive pot or to simply wrap the base in festive fabric. Whatever you do, remember to include a drip tray to ensure excess water is contained. 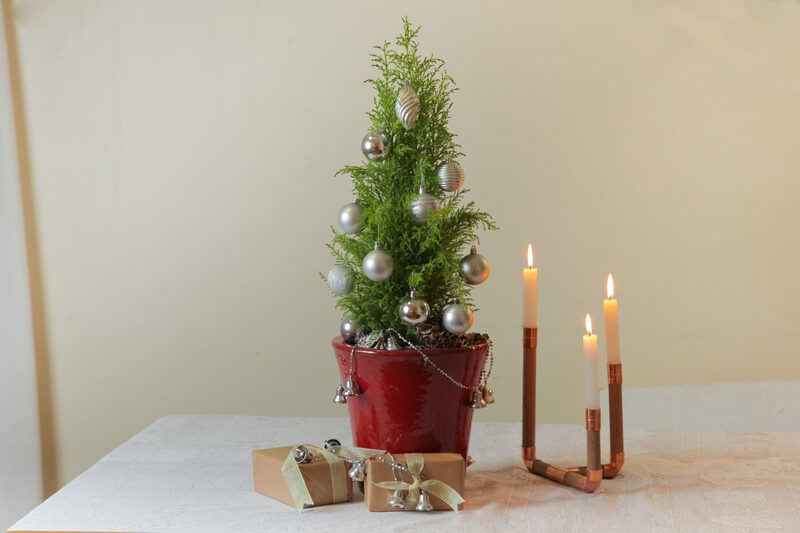 After the holidays, Cupressus can be used on the patio or in the garden for 11 months of the year – and brought back indoors as your ‘recycled’ festive tree the following December. Cryptomaria and Areca Palms are also commonly grown for use as seasonal living festive trees, and your local GCA garden centre may have advice on other alternatives. South Africa has over 2000 indigenous trees so there are multiple options to be considered. The indigenous Yellowwood trees – Podocarpus var., are a popular option as the tree shape is full and symmetrical – typically not dissimilar to the traditional festive tree shape. Indigenous trees add a unique local flavour to the holidays and are awesome, but it is important to realise that they are not conducive to growing indoors. If you go the indigenous route, select a solid, strong tree and position it in a high light location for 2 – 3 weeks. Thereafter, please return the tree to its natural outdoor location where it can eat, sleep and be merry! Water – keep the soil moist. Watering 2 – 3 times a week is advised and remember the drip tray if your pot has drainage holes! Fertilise – adding foliar feed weekly will enhance and boost tree growth and general health.